Time for a new cocktail. 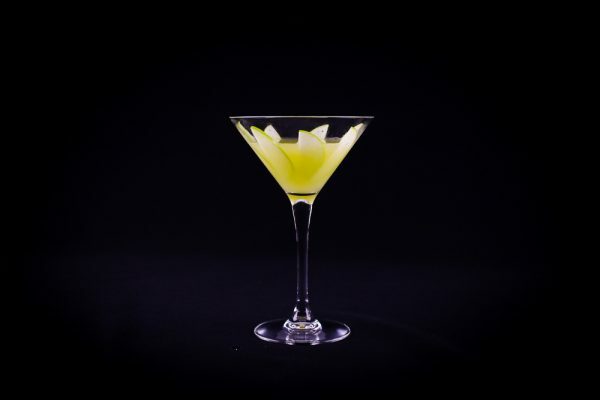 This time I put together what I decided to call a Green Apple Cocktail with Ginger and Lime. It’s crisp, refreshing and a perfect fresh cocktail to start a party off on a hot day, let’s find out how to make it. So a Green Apple Cocktail, what goes into one of those. Nothing sweet is the answer. This cocktail is far from the oversweetened Appletinis and stuff like this. 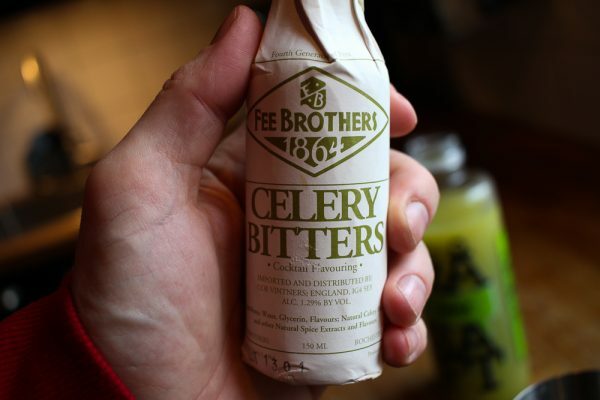 Instead, I’m using a raw apple juice, ginger, lime, Granny Smith apple and pair that with gin and celery bitters. 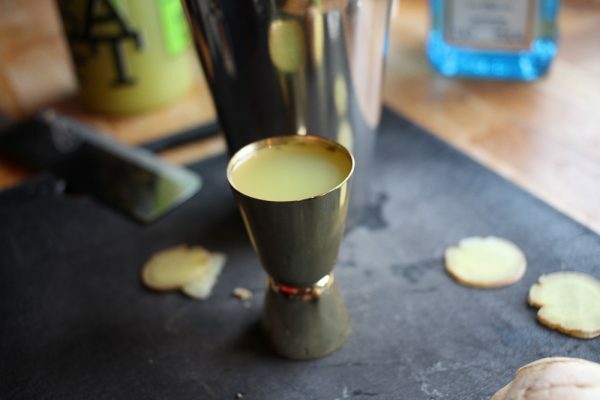 The result is a crisp, acidic cocktail that is a great start to a party on a hot day. Maybe it’s not the type of cocktail that you have several off, but as a welcome cocktail, it is perfect. Now let’s make one. 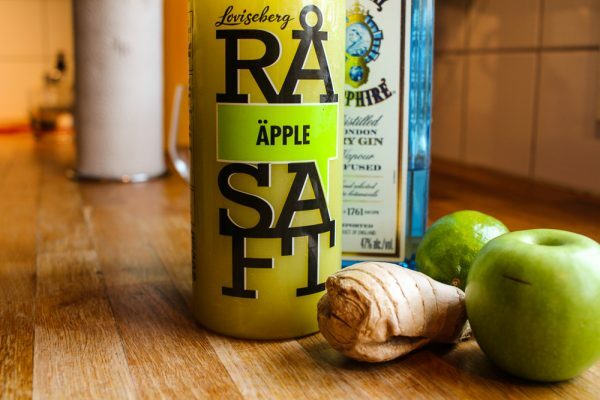 Add gin, apple juice, celery bitters, a few slices of fresh ginger and squeeze half a lime into a shaker. Muddle for about 30 seconds to get the ginger flavor released into the drink. Add ice and stir for another 30 seconds. 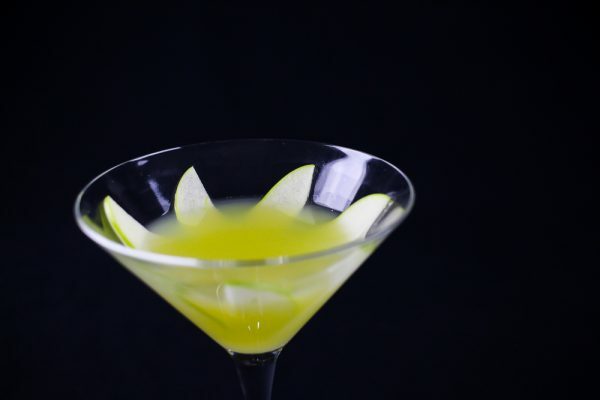 Slice thin slices of Granny Smith apple and add to the Martini glass. 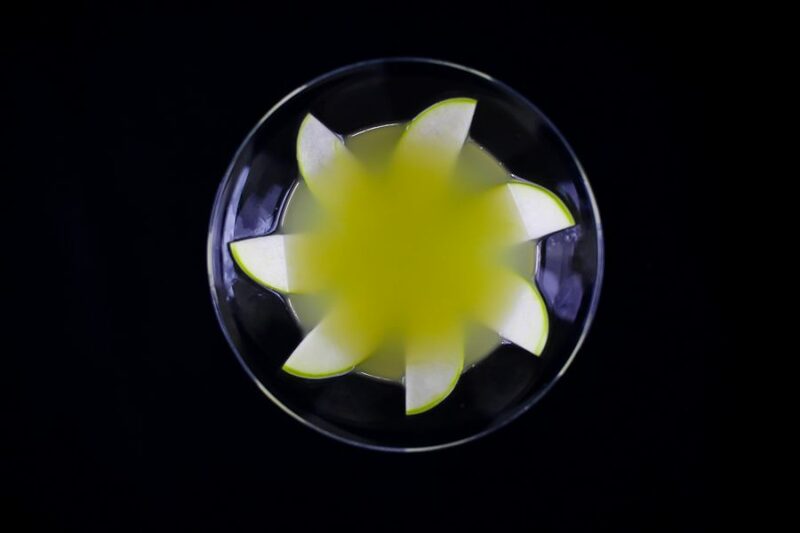 As you can see in the photos I cut half moons of apple and placed them into the glass as a flower. This looks nice but has zero impact on flavor so cut and add the apples in any way you like. Then strain the drink into the glass and serve. Enjoy!